AFS Kenya offers the Kennedy-Lugar Youth Exchange and Study (YES) program for high school students to study abroad. The program is funded through the U.S. Department of State and sponsored by the Bureau of Educational & Cultural Affairs (ECA) to provide scholarships for high school students from countries with significant Muslim populations to spend up to one academic year in the U.S. Students live with host families, attend high school, engage in activities to learn about American society and values, acquire leadership skills, and help educate Americans about their countries and cultures. You can consult the website www.yesprograms.org to read more about the program, testimonials from participants, etc. Contact us for more information. Are you interested in learning about Kenyan culture and improving your English while contributing to a community in need? This 28-day programme is designed for high school students aged 14 – 17 who are interested to learn English in an intensive and cultural set-up in Kenya. This is a summer program that runs between July and August. Come to the land of the Wildlife! This 12-day Wildlife Conservation program will take students on a wildlife tour from Nairobi, Naivasha, Narok and the world famous Masai Mara. The dates are perfect for one to one of the wonders of the world – the wildebeest migration. Come, discover and learn! We implement the German government funded Weltwaerts program, which brings young people to volunteer with non-profit projects around Kenya. This includes one year, six month, three months and two months programs with AFS Germany, AFS Switzerland, AFS Belgium, AFS Italy and AFS China. Sawa Sawa program offers participants valuable insights into changemaking and provides them with skills needed to identify, engage in or implement changemaking social ventures within their own communities. 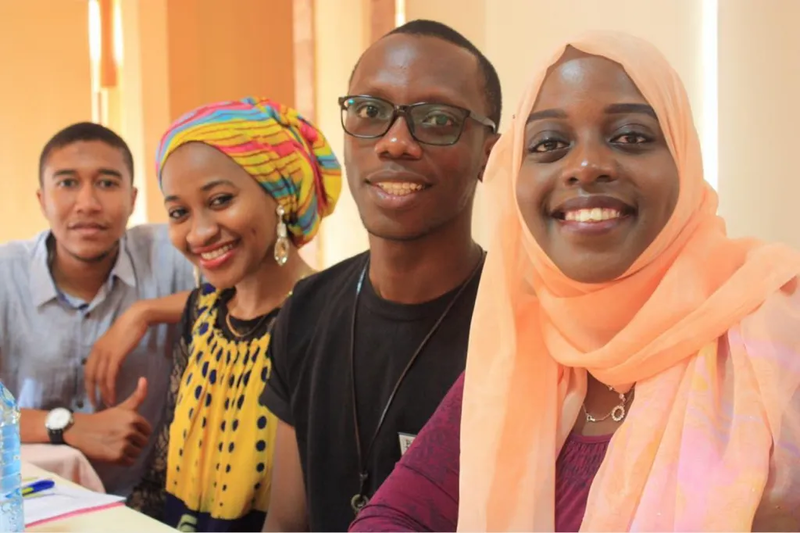 Participants from Africa and beyond come together to stay with local host families and engage in a leadership and changemaking program inspired by the AFS curriculum for intercultural learning and Ashoka changemaker’s methodology. The program consists of four short-term exchanges implemented successively in Egypt, Ghana, Kenya, and South Africa, as well as follow-up projects in the countries of participants. AFS is an international, voluntary, non-governmental, non-profit organisation that provides intercultural learning opportunities to help people develop skills and understanding needed to create a more just and peaceful world. Organization for Intercultural Education (OFIE) is an AFS affiliate. It is a non-governmental and non-profit organization based in Mombasa and it works toward a more just and peaceful world by providing international and intercultural learning experiences to individuals, families, schools and community through global volunteer partnership. AFS helps the world learn to live together, it is a world-class intercultural education organization and a global movement to develop and activate global citizens. AFS Intercultural Programs prepares and activates future leaders, global citizens and changemakers with essential 21stcentury intercultural skills to engage, lead and collaborate effectively in different cultural settings. Our international exchange, study abroad and volunteer programs are supported by research-based intercultural learning journeys facilitated by trained AFS volunteers and staff. OFIE was officially registered in May 2009 as a Non-Governmental Organization, after a group of volunteers in Malindi, Mombasa, Nairobi, Narok and Kajiado successfully participated in the KL-YES program, which was introduced in Kenya in 2007, in cooperation with AFS USA. In October 2009, OFIE became officially affiliated to AFS Intercultural Programs and participated fully in exchange programs in line with AFS Mission Statement, Values and Purpose. OFIE is a voluntary Organization with most of its programs being implemented and coordinated by volunteers. The head office of the Organization is in Mombasa with 10 active volunteer chapters based in the following regions; Mombasa, Malindi, Lamu, Taita, Nairobi, Mt. Kenya, Kajiado, Narok, Kisumu and Bungoma. The KL-YES program also provides a forum for the YES students to become active volunteers and participates fully in community development through the alumni network. The students, once integrated back to the society become a member of the local alumni network and participate in community projects. The alumni also benefit from regular training, locally and abroad, to be provided with skills and tools necessary to develop leadership skills and effectively train other alumnis upon returning home.